If you’re reading this, you’re probably pretty addicted to music. And it feels amazing, doesn’t it? More tracks means more moods, more emotions, and even more you. But while there’s never enough music, one copy of each piece is pretty much enough even for the craziest music lovers. I mean, you could download 15 copies of the same track just to prove that you’re better than everyone who lived before the internet age, but that’s a little odd. You might want to reconsider. 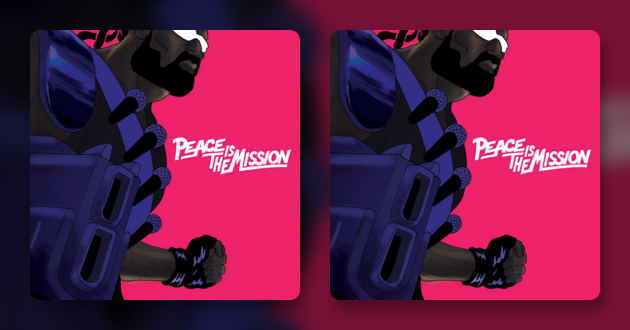 If you have a rich music library on your Mac, there simply have to be duplicate songs. None of us is perfect enough to remember every track we’ve ever loaded. And it’s fine, as long as you know how to delete duplicate songs in iTunes and in your local library. The first thing you need to know is that you can’t just get a duplicate mp3 finder, obviously, because there are so many more music formats in your library that you might not even know about. What you need to get to remove all duplicate songs in iTunes and on Mac, is a duplicate file finder. 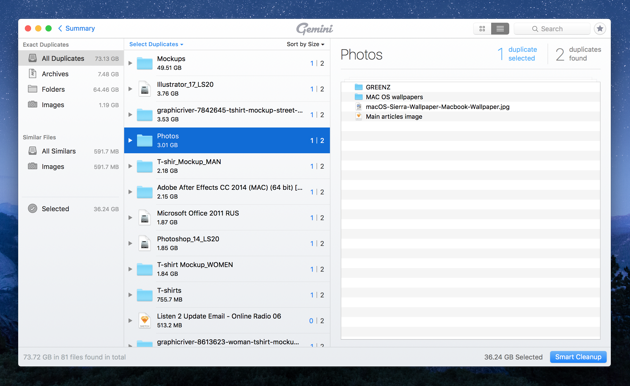 One of the best duplicate file finders for Mac is Gemini 2. It’s well-designed, simple in use, and does its job well. What else can you ask for? Now, what it does is scans your whole Mac and your music libraries, finds repeating tracks, and offers you to remove one of the copies. It even finds the same tracks with different bit rates or changed names. Because it’s smart. You can download Gemini for free from the official website. First, let’s take a look at the reasons why duplicates pop up in your iTunes in the first place. It can happen pretty much anytime. For instance, in the usual cases when you move your library from one device to another, download the same tracks in different formats from different sources, update iTunes, sync your old music collections with the new one, or simply can’t find some of the tracks and re-download them intentionally. It’s pretty easy To find and remove duplicate music files with Gemini. The speed mainly depends on the size of your library. What you need to do to find all music duplicates in your iTunes is open Gemini and choose your iTunes library for scan. Give it a few minutes to run across your files and sort them out. Then you’ll see the total number of space taken by duplicates on your mac. If Gemini is completely sure that some of those can be safely removed (they are completely identical and are in the same folder), he’ll suggest them for Smart Cleanup. As for all the rest, click Review Duplicates. Reviewing is simple: you see all the files that Gemini defined as duplicates and choose which ones you don’t need. For instance, the oldest. Or the files in a particular folder. Or even any copy if your only goal is to leave one of a kind. From at that point, all you need to do is remove duplicate mp3 files from your Mac by hitting Remove. Chances are, you have not only exact duplicates on your Mac, but also similars. These are files that might be duplicates, but have something different about them. For instance, two tracks with a different bit rate, or two tracks of the same name and content, but a different size. 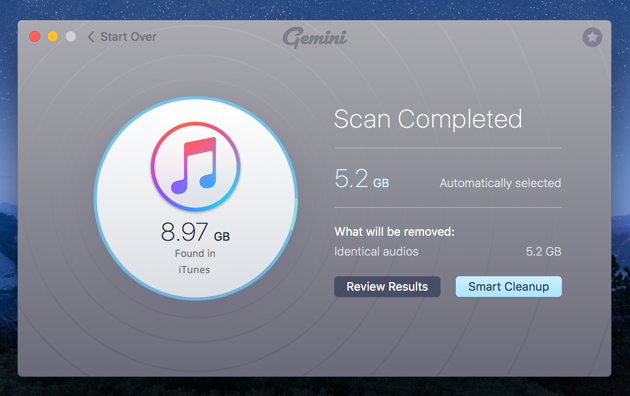 Gemini can help you find similar mp3 files and get rid of them, too. Right below your duplicate results you can see “All similars” folder that stores everything Gemini thinks you should take a look at. Some of those files might be just as useless as exact duplicates. 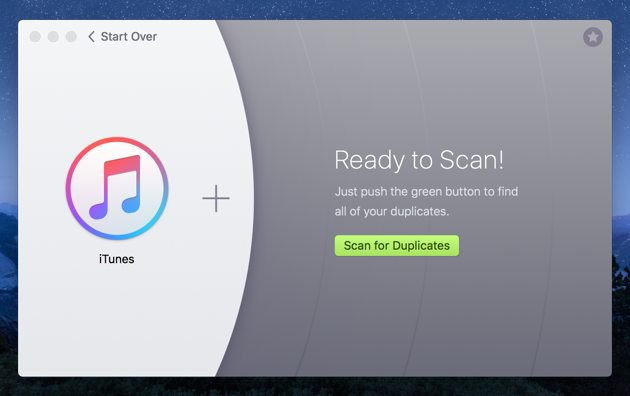 If you believe there’s more than just iTunes to your music, and you might still have random archives, video or audio duplicates scattered around your hard drive, use the bigger scan. To find every duplicate file on Mac, open Gemini and choose your user folder for scan. After that, follow similar instructions to iTunes. You can safely remove some of the duplicates found on Mac that were pre-selected, and then review the rest. There are probably more duplicate files on your whole drive than just music, so it’s up to you if you want to review all of them at once. Gemini will sort them for you into categories, showing separately Audio, Images, and Folders. From then on you can just select which types of files you want removed and get back the precious disk space on your Mac. Don’t forget to review Similars as well, you might find a lot of stuff to delete. The joys of not having loads of duplicate music files doesn’t end up at having more disk space. Duplicates can give you quite a headache if not cleaned for a while. When you’re syncing your library on various devices, you’re having repeated songs in your playlists, and you can never really tell when you’ll have to skip through them or how many there are. So it’s the rule of thumb to run a scan for duplicates once in a while — just to make sure you’re not stuck in a Groundhog day, listening to the same songs all over again.